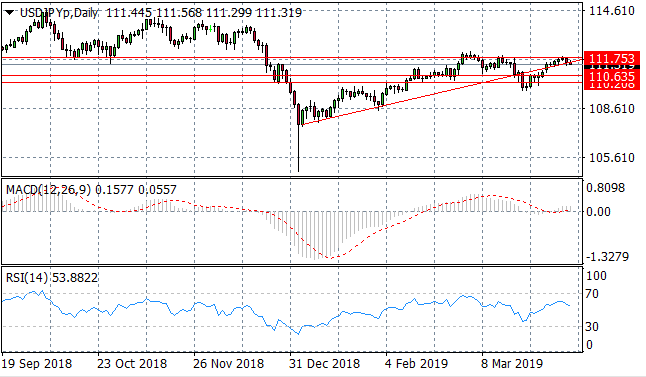 The USD/JPY pair has failed to break the 111.75 price level and has pulled back to test the ascending trendline acting as support for the pair. A break would send price action towards the 110.63 support level. Momentum indicators are decelerating; with MACD stalling above the zero line and RSI beginning a downward trajectory. 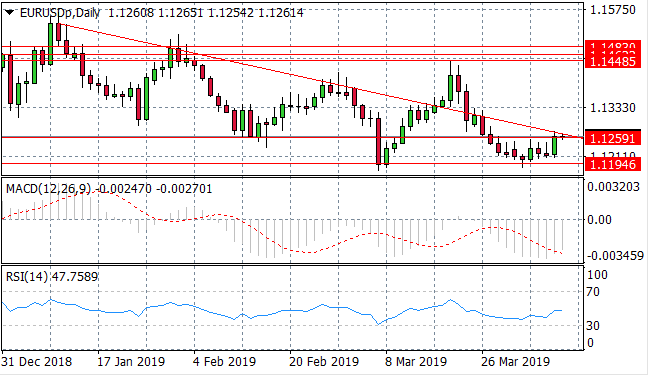 The EUR/USD pair has begun a rally to test the 1.125 price level once again after rebounding from a support level at 1.119. The pair is also beginning to test a descending trendline and a break would signal the beginning of a potential uptrend. Momentum indicators are embarking on a momentum reversal. 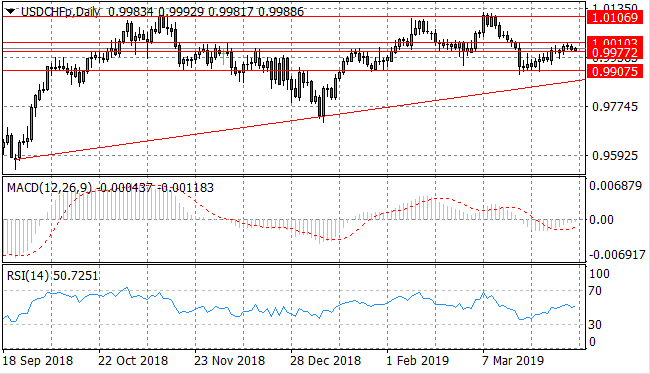 A dollar recovery has resulted in the pair testing the 1.001 price level yet the pair has failed to break resulting in a pullback to the 0.997 price level. 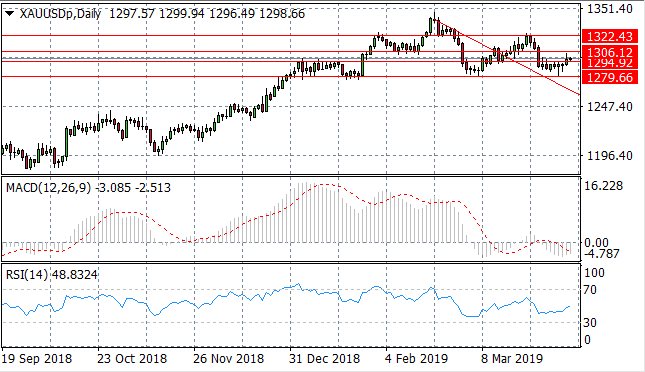 Momentum indicators still support bullish sentiment with an upward trajectory on RSI and MACD on the verge of breaking the zero line. 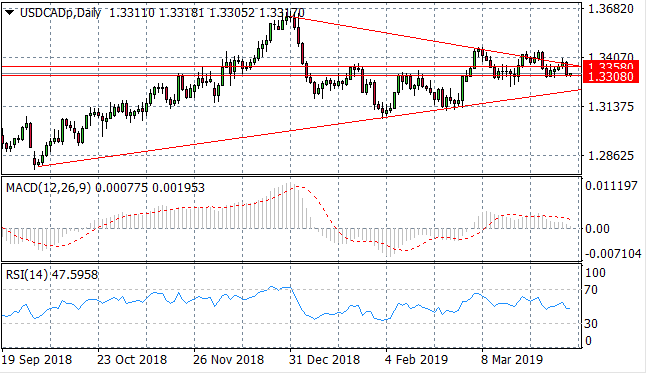 The USD/CAD pair is once again testing the upper trendline of a symmetrical triangle as the pair approaches the apex. 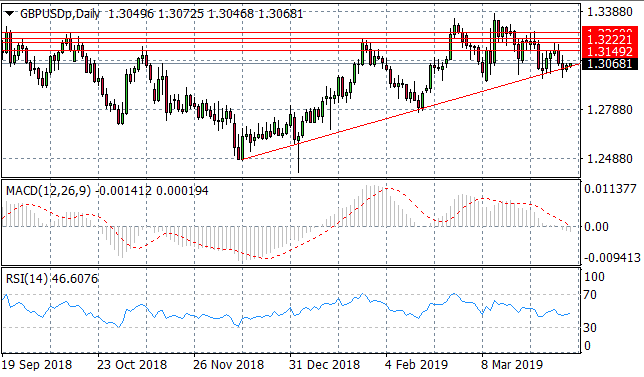 The pair is also testing the 1.330 price level as price oscillations begin to narrow towards the apex. Momentum indicators are currently neutral but are turning more bearish with downward trajectories. Silver has begun to climb after a sell-off resulted in the metal breaking several support levels. Buyers have since returned to push price action to test the 15.23 price level and the ascending trendline. Momentum indicators are beginning bullish momentum reversals. 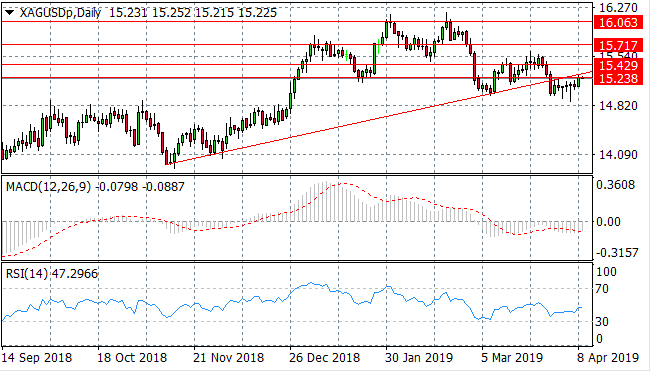 WTI buyers are beginning to dominate price action with the ascending trendline acting as a strong support for the commodity. WTI has broken the psychological $60 per barrel range, with the next target of $65 per barrel in sight. 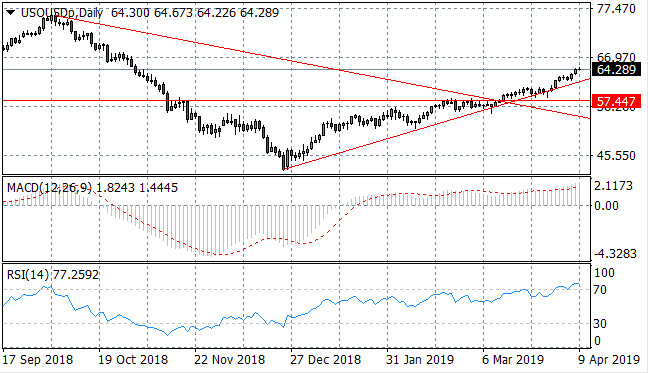 RSI has broken the 70 resistance area whilst MACD continues a bullish trajectory.